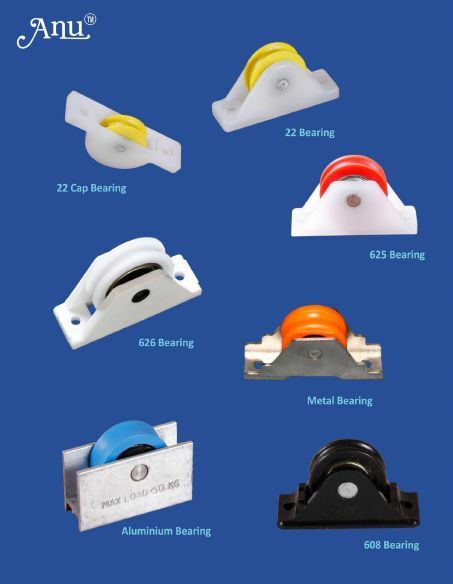 Double Wheel Bearings that we offer are suitable for aluminum sliding windows. Featuring steel roller finish with center groove, our Double Wheel Bearings are high in demand in the market. Our Double Wheel Bearings come with suitable I.D. support, thereby, providing long lasting usage. We are one of the prominent Manufacturers, Exporters and Suppliers of Double Wheel Bearings. We have the capability to deliver retail as well as bulk orders for Double Wheel Bearings within the stipulated time frame.